Bring or start a project a fibre project on the fourth Thursday of every month to share tips, patterns, and good conversation with other adults. 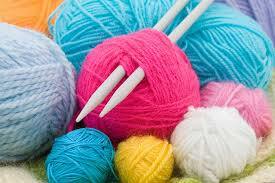 Experienced knitters and crocheters to beginners welcome! Need help with a pattern? Experienced members are on-hand to help you out.